Luma provide a full service facility using the latest techniques and equipment, to perform microscopic and analytic studies of any surface. 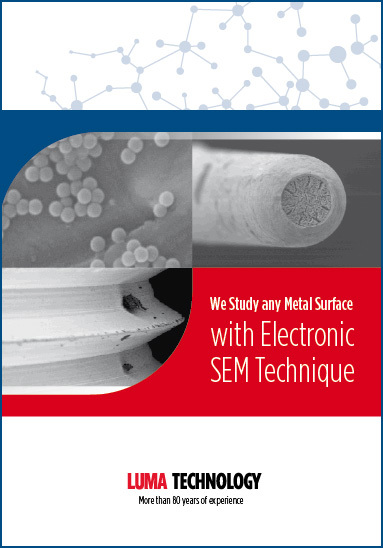 We specialize in corrosion and failure analysis using state of the art SEM, AAS and EDS techniques and equipment, to solve corrosion and product failure problems. Surface irregularities, Surface roughness, Surface appearance. Composition of corrosion residuals, Alloy composition, Identification. Cracks, Pores in coating, Coating defects, Dirt, Bad adhesion of coating. These matters can also be studied by using cross section. Type of corrosion, Corrosion products, Level of corrosion. 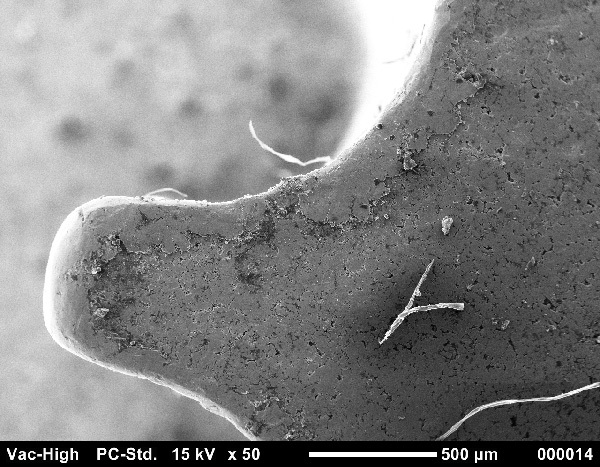 Surface cleanliness can semi-quantitatively be studied by using backscattered electron mode, for example after the degreasing and pickling processes. Evaluation and explanation of the mechanism behind failure. Evaluation and estimation of the corrosion resistance, of for example coatings. Detection of porosity and defects.